What is Reiki healing and how can it help you? Are you feeling overwhelmed by life’s stresses, such as bills piling up, relationship troubles and stressful work deadlines? Or maybe you’re just trying to find a better balance between stress and relaxation? If you’re struggling to find a healthy and happy balance within your life, you may want to look into alternative ways to maintain this balance, such as Reiki healing. Reiki healing is a Japanese technique that can reduce stress, while promoting relaxation and healing. It can be used for both physical and emotional healing. The idea underpinning Reiki is that it invokes the life force to promote relaxation and healing. In fact, Reiki actually stands for “universal life force”! How does Reiki healing work and why would I need it? When our life force is low, we are more prone to illnesses. Also, in general, our energy tends to be low as well. If you’re not getting all that you can out of life, Reiki can help you increase your energy levels while maintaining inner peace. Emotional and physical stress can affect our life in many ways. Often when we are stressed, we experience physical symptoms as a result. If we are anxious or overwhelmed, people will often experience stomachaches, headaches, muscle spasms and persistent insomnia. Therefore, more and more people are seeking alternative ways to address these life stresses. It is such a good idea to address life stresses before they adversely affect their lives in the long term. Although Reiki is good for those who are experiencing stress, it can be used for many reasons. Anyone who simply wants to increase their energy, find a better life/work balance and find ways to relax and be at peace with their inner child when things get busy. So, how does Reiki healing work? During your Reiki treatment, the practitioner will lay their hands either on you or near you, where an invisible life force will be drawn through the body. By doing so, you will likely feel more energized, alive and the process of healing will already have begun. What will you get out of these Reiki healing sessions? 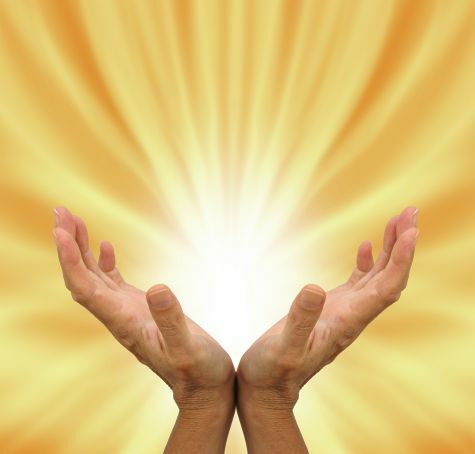 Reiki is usually performed as one hour sessions in a safe and comfortable environment. You will be asked to lie down comfortably. Then the practitioner will place their hands on or over various parts of your body. The outcomes of each session depend on the individual. Some people experience feelings of warmth, tingling, strong emotional feelings or strong energy surges. These are all normal sensations during the sessions. Overall, clients have reported strong feelings of relief and feeling of peace after these sessions. Is Reiki healing for me? How can you know whether Reiki healing is for you? If you’re feeling tired, stressed, anxious, overwhelmed and looking for a painless, natural and non-invasive solution, the answer is – Yes! An increasing number of westerners are using Reiki, and more people are experiencing its benefits than ever before. If you’re ready to have more energy, lower your stress levels and the physical symptoms that come with it, contact Bernie. Let’s arrange your Reiki healing appointment today. Bernie Giggins is an experienced practitioner who works with her clients to give them the best outcome and provide the sessions that suits their individual needs. You will walk away happier, clearer and glad you took the step towards a more balanced life that includes a greater feeling of relaxation.